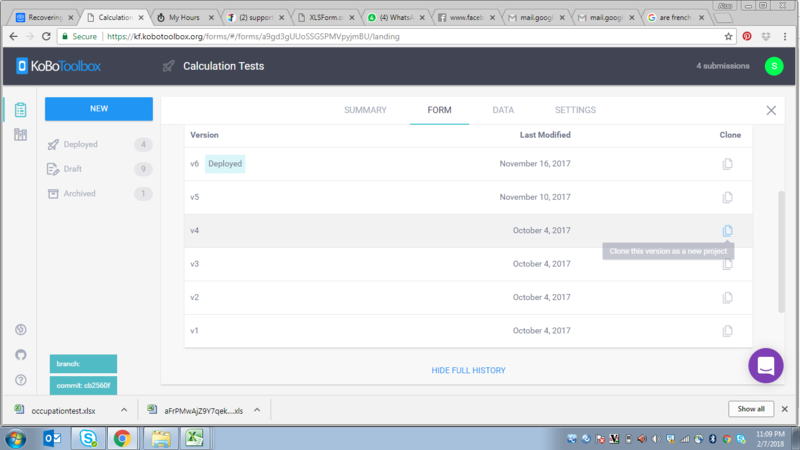 Normally when you change a form, the data will be downloaded based on the definition of that new form. As it is if you changed the name of a question or deleted a question, all the data previously collected on that question will not be visible. We normally advice that you don't make such changes. 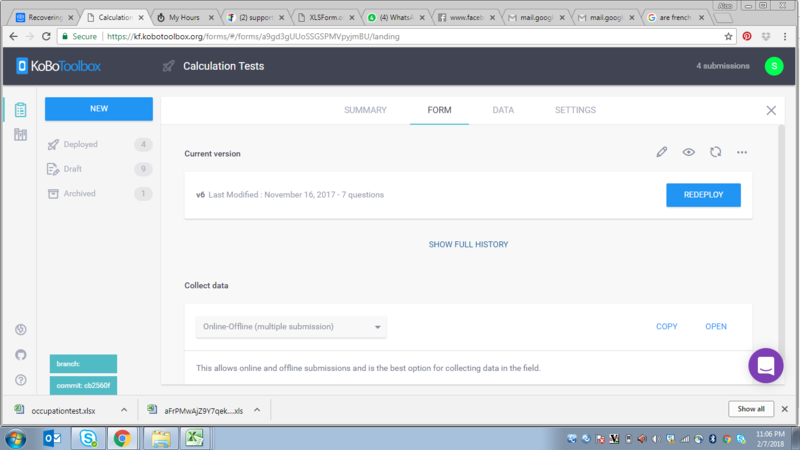 However if you make such changes and want to retrieve your data, there is a workaround which will also affect the data you collected using the new form. Step 1: You will need to go into your form view and click on SHOW FULL HISTORY, you should see all the versions of your forms. Step 2: Choose the version of the form that you want that has the form definition in the old structure and clone it as a new project. 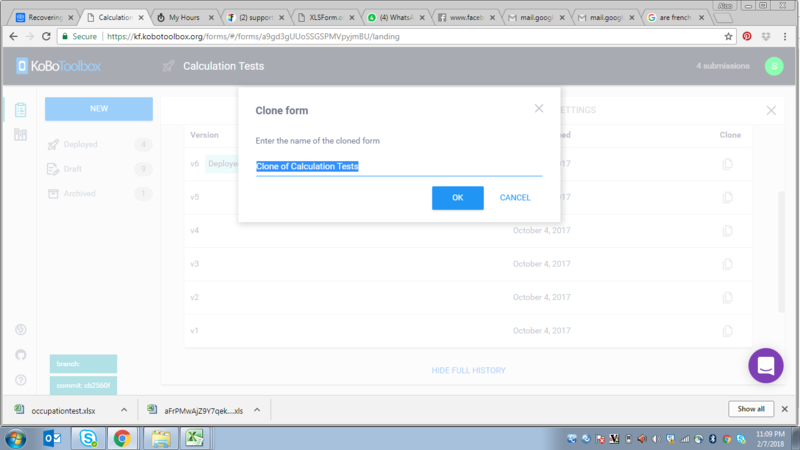 Step 3: Go to this new project and download the xls version of the form and save it within your computer. This will take the form back to the pre-change version and you should see all the data collected using that previous version. Remember any data collected using the new version will also be affected in the same way. 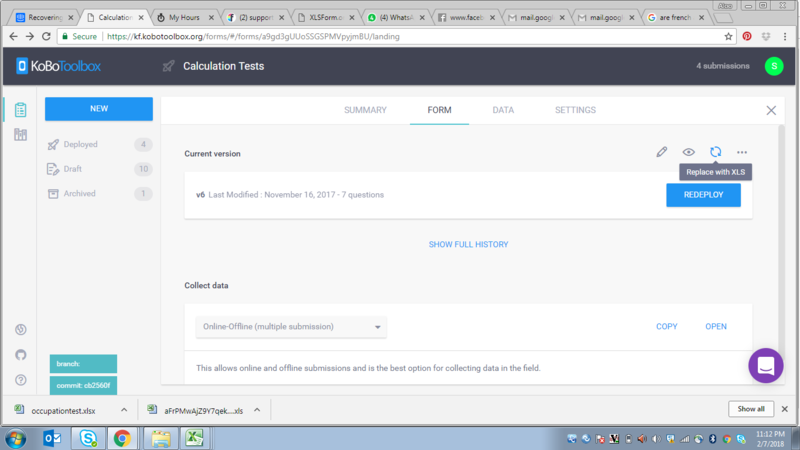 This work around is to help you get the previous data, remember to revert to the version you want to use after finishing this download of old data.